Following last week’s windfall of new releases, I’m happy to report that the rest of June looks just as bright, with a number of noteworthy Blu-rays arriving in stores today. In addition to the titles featured below, there are several other releases that I’d be remiss if I didn’t mention, including the new “Sherlock Holmes” sequel, the eighth and final season of “Entourage,” and Criterion editions of Hal Ashby’s “Harold and Maude” and Danny Boyle’s “Shallow Grave.” Those would have made for a pretty killer column on their own, but due to what has become a standard complaint around these parts, they weren’t sent to me for review. Nevertheless, it speaks volumes of the quality of this week’s Blu-rays that I was still able to conjure up three more titles worth talking about. I’m not exactly sure why Sony would want to remind moviegoers about the original “Spider-Man” trilogy when the studio is only weeks away from rebooting the lucrative superhero franchise, but if you never got around to buying the films on Blu-ray, it’s as good a time as any to get them now. Granted, the cover art for all three movies is an appalling Photoshop hack job that shows just how little work went into these re-releases, but it’s what’s inside that really counts. Though “X-Men” was the first movie to revitalize the comic book genre, Sam Raimi’s “Spider-Man” films are what turned it into Hollywood’s obsession. 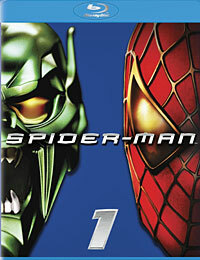 Though the legacy of Raimi’s trilogy may have been marred a bit by the tepid reaction to the third installment (although for the record, I actually liked it quite a bit), it still contains some of the best superhero movies to date, especially the well-received sequel featuring Alfred Molina as classic Spidey villain Doc Ock. And no matter how amazing Mark Webb’s reboot may turn out to be, it wouldn’t have been possible without the spectacular trilogy that came before it. Blu-ray Highlight: Fans will be happy to learn that the bonus material for “Spider-Man” and “Spider-Man 2” has been reinstated on their respective discs (unlike their Blu-ray debuts), even if “Spider-Man 3” was shortchanged in the process. Although it’s hard to pick just one highlight from the treasure trove of special features, the 12-part “Spider-Man 2” documentary “Making the Amazing” is an incredibly in-depth look at the amount of work that went into making the film. If you’re not a big fan of production featurettes, however, the numerous audio commentaries that appear on each disc are also great. 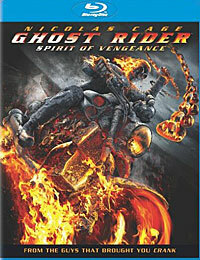 Mark Steven Johnson’s 2007 attempt to bring Ghost Rider to the big screen didn’t turn out particularly well, and although many believed that would be the last we’d ever see of Marvel’s B-list antihero, Sony decided to give the character another shot with this equally shoddy reboot by Mark Neveldine and Brian Taylor. Though the directing duo behind the “Crank” films seemed like a natural fit to take on such a bizarre character, “Spirit of Vengeance” is only slightly better than the first movie. One of the few things they do get right is the scenes with Ghost Rider, emphasizing his demonic nature by making him as frightening and intimidating as possible, but he’s used far too sparingly. And unfortunately, that’s where the magic ends, because the rest of the film makes many of the same mistakes as its predecessors, with plenty of bad dialogue, poor attempts at humor, and a laughably bad performance by Johnny Whitworth. Neveldine and Taylor’s version at least seems to have been made more with fans of the comic in mind, but that doesn’t change the fact that it’s still bad. Blu-ray Highlight: In addition to an excellent six-part documentary that runs the entire gamut of production – from location shooting in Romania, to Nicolas Cage’s (creepy) performance capture of the Ghost Rider, to special effects and more – the Blu-ray also includes a feature similar to Warner Bros.’ Maximum Movie Mode where directors Mark Neveldine and Brian Taylor dissect the film (sometimes pausing it to discuss certain scenes in more detail) with the help of behind-the-scenes footage. 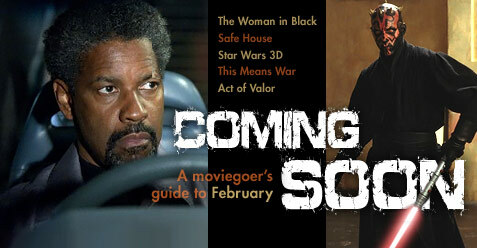 Both extras are definitely worth your time, even if it means having to watch the movie more than once. Call me crazy, but I’ve never quite understood why Charlie Chaplin’s “The Gold Rush” was considered to be a cinematic masterpiece. Although there’s a lot to love about the movie – particularly the first 30 minutes in the cabin with the Tramp, Big Jim and Black Larsen – the second half is incredibly uneven. The gags that do work are still hilarious to this day, however, and it’s no doubt the memory of those iconic scenes that has led people to hold the film in such high regard. From eating a boiled leather shoe, to getting caught in the middle of a crosswind, to the dancing dinner roll routine, “The Gold Rush” contains some of Chaplin’s best movie moments. Unfortunately, the film’s dramatic beats only get in the way of its comic genius, while the big finale in the teetering cabin isn’t nearly as funny as some of the earlier scenes, like the bit where Chaplin tries to avoid the barrel of a shotgun, or when Big Jim imagines the Tramp as a giant chicken. It’s definitely one of those movies that you need to see at least once in your life, but it’s hardly the definitive Chaplin picture. 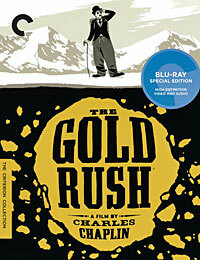 Blu-ray Highlight: There’s some really great bonus material included on the disc, but the standout extra is “Presenting ‘The Gold Rush’,” a 16-minute featurette about the film’s long history that covers its initial theatrical release, Charlie Chaplin’s reworked 1942 sound version, and the various re-releases throughout the years, including the restoration of the 1925 original completed by David Gill and Kevin Brownlow in 1993.